Where does learning take place? In this collection of passionately argued essays, leading educators and theorists explore the "where" of pedagogy - how pedagogical processes are influenced by local conditions. Understanding this dynamic just may be the single most important ingredient to successful teaching.Classrooms Matter presents some of the best known voices in critical pedagogy--Michael Apple, Henry Giroux, Stanley Aronowitz, Carol Becker, Peter McLaren--alongside essays by such well-known scholars as Mark Poster, Sharon O'Dair, David Trend, Jacqueline Bobo, and others. 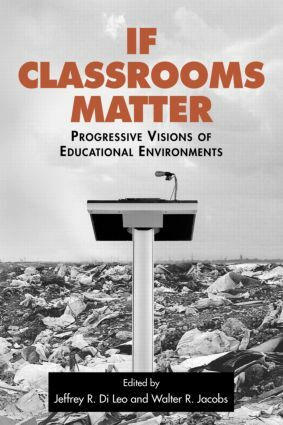 These thinkers explore the sensitive balance between technology, physical space, economic developments, political events, and the goals of teaching--a balance we must constantly renegotiate if classrooms are to matter at all. Class Work: Site of Egalitarian Activism or Site of Embourgeoisement? Where in the World is the Global Classroom Project?